Five-time Olympic gold medalist Ian Thorpe says he has come out of retirement with the goal of swimming at next year's London Games. “I didn't get back into the pool for any other reason than being back at the stage where I am able to compete at an elite level,"
Thorpe announced at a media conference Wednesday. The Thorpedo will concentrate on the 100-meter freestyle and hopes to compete in the relay events in London. "He is going to be welcomed back, obviously, but the thing is he has to perform. We have standards you have to achieve and if he is not up there, well he won't be performing in London," said Swimming Australia head coach Leigh Nugent. Thorpe will train ahead of the Australian Olympic selection trials in February or March 2012. The 28-year-old Thorpe retired in November 2006 after setting 13 world records and winning 11 world championship golds. 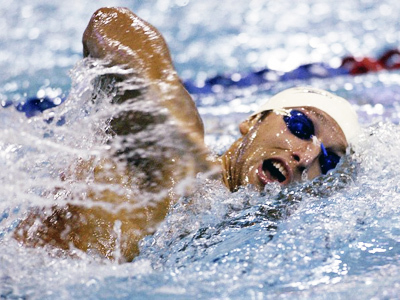 He won the 200 and 400 meters freestyle at the 2004 Athens Olympics in his last major international meet.